Dunwoody Apartment Complex Shooting Leaves 1 Man Dead; Security Failure? Did negligent security contribute to this shooting death at a Dunwoody apartment complex and are justice and compensation available to the victim? How was the suspect able to gain access to the parking gargage? Generally, property owners are required to protect all those legally on the premises from any foreseeable harm. Should the facts of this matter reveal that the apartment complex owner failed to provide adequate security to protect those on its premises, the deceased victim’s family may seek justice and elect to pursue legal claims for their loss. 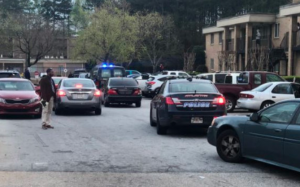 Seven Courts Apartments Shooting, Atlanta, Leaves 1 Dead and 1 Injured; Security Lapse? Did negligent security contribute to the shooting death at a Southwest Atlanta apartment complex and are justice and compensation available to the victims? What security measures were in place to deter crime and protect the victims at the time of the shooting? Generally, property owners are required to protect all those legally on the premises from any foreseeable harm. Should the facts of this matter reveal that the apartment complex owner failed to provide adequate security to protect those on its premises, the victim’s family may seek justice and elect to pursue legal claims for their loss. In addition, any other victims may seek justice and elect to pursue legal claims for their injuries. Based upon its prior successful experience in handling security negligence claims on behalf of victims and their families, The Murray Law Firm suggests that photographs and a thorough, unbiased inspection of the property will need to be performed immediately, before any evidence may be repaired, damaged or destroyed. Given the complexities of pursuing a negligent security case, it is imperative that the victim’s family as well as any other victims retain an experienced attorney who can ensure the preservation of any and all evidence that may support such a claim. 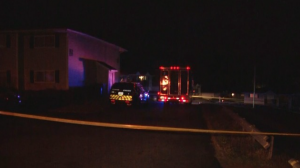 Update: Tyriq Livatt Identified as Victim Killed in Hidden Village Apartment Shooting. 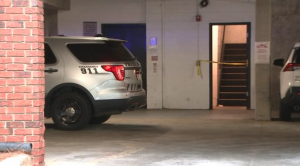 Did negligent security contribute to this shooting death at a Southwest Atlanta apartment complex and are justice and compensation available to the victims? Were authorities called at the time of the initial disturbance? What security measures, such as bright lighting, gated-entry, fencing, monitored surveillance cameras, and visible security patrols, were in place to deter crime and protect Tyriq Livatt and others at the time of the shooting? Generally, property owners are required to protect all those legally on the premises from any foreseeable harm. Should the facts of this matter reveal that the apartment complex owner failed to provide adequate security to protect those on its premises, Tyriq Livatt’s family and any the other victims may seek justice and elect to pursue legal claims for their loss and injuries. Based upon its prior successful experience in handling security negligence claims on behalf of victims and their families, The Murray Law Firm suggests that photographs and a thorough, unbiased inspection of the property will need to be performed immediately, before any evidence may be repaired, damaged or destroyed. Given the complexities of pursuing a negligent security case, it is imperative that the victims as well as Tyriq Livatt’s family retain an experienced attorney who can ensure the preservation of any and all evidence that may support such a claim.